As always I’m linking up with Celia for IMK and this month I’m totally phoning it in from gorgeous Sedona, Arizona before hopping on a plane to Philly. One day I’ll post a recipe again… ahem. Hello lover. After looking and comparing and plotting for well over 18 months I finally bit the bullet and invested in a brand spank’n new Nikon 24-70mm f2.8 lens . He’s heavy and a bit of a pretty-boy, but we’re becoming fast friends. The 50mm f1.4 , while temporarily sidelined, is still very much a member of the family. I got him here if you’re interested. I walked into my favourite opp shop a few weeks back and this happened. Oops (not really oops). 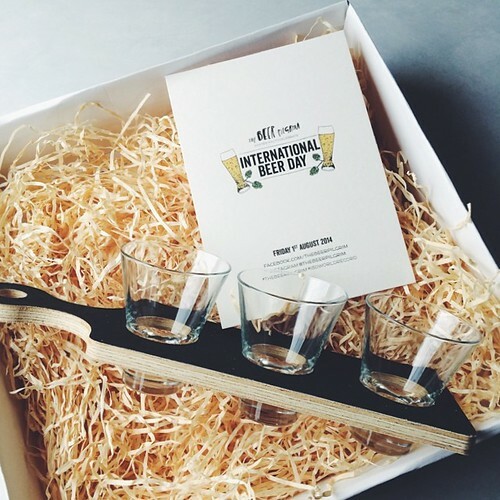 Such a spot-on invite* to the International Beer Day World Record attempt. As I don’t really drink I didn’t attend said event, but I do appreciate matching glasses. Even RJ gave these an approving nod (vs the usual “ugh more stuff?” reaction, bless him). 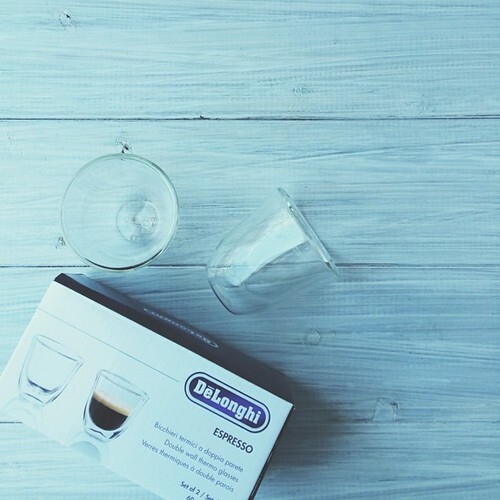 A cute set of double walled espresso cups* from the Delonghi Dedica event will no doubt see plenty of tea. In other news I discovered on the day that I, the non-coffee drinker, apparently don’t mind Ethiopian dry processed lightly roasted coffee… it kind of tastes like Earl Grey. 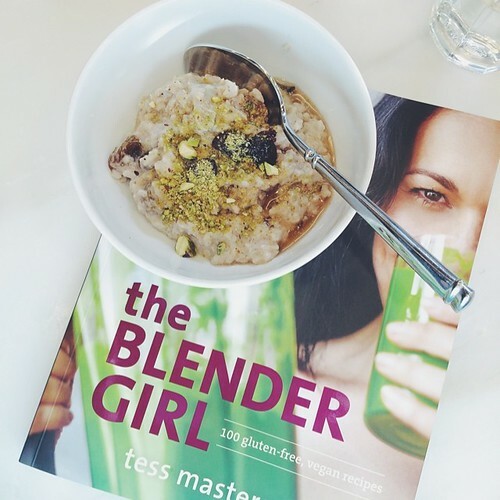 I met Tess Masters, aka The Blender Girl, years ago at BlogHer in San Diego when we were two of only a few food bloggers surrounded by about 3142 mummy bloggers. 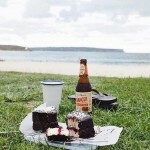 I’d heard that Tess had recently released a book — the first of a three-book deal — and was excited to head to Bondi one afternoon to partake in some of the treats from its pages*. Tess is impossibly animated and effervescent. She drips with opinionated passion and her enthusiasm is contagious. 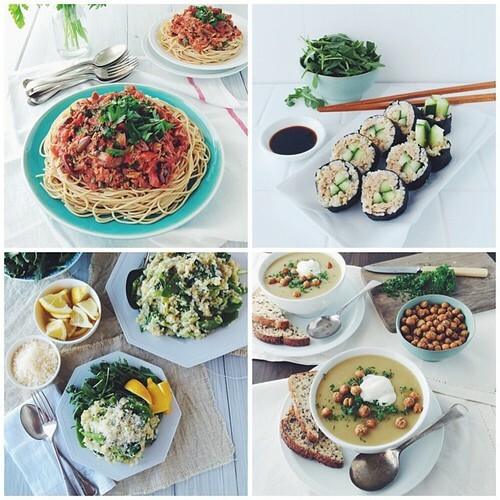 Her first book is packed with gluten-free and vegan recipes all made with a blender — but don’t think for a moment that you’ll be drinking your meals. There are of course a few fabulous smoothie blends, but on a whole this is a book of real food — the blender is simply a tool to achieve an end goal of healthy wholesome meals. The recipes have been tested with every level of blender from the most high-powered to the most basic so they are accessible in any kitchen. 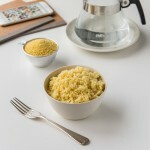 Ingredients are layered and stacked and melded into bursts of flavour and texture that will have you coming back bite after bite. Although she lives in LA, Tess returned to her hometown of Sydney to shoot her book. 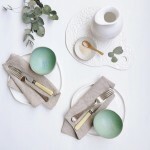 The styling, by the amazing David Morgan, is organic and casual, and the natural light photography by Anson Smart is simply stunning. 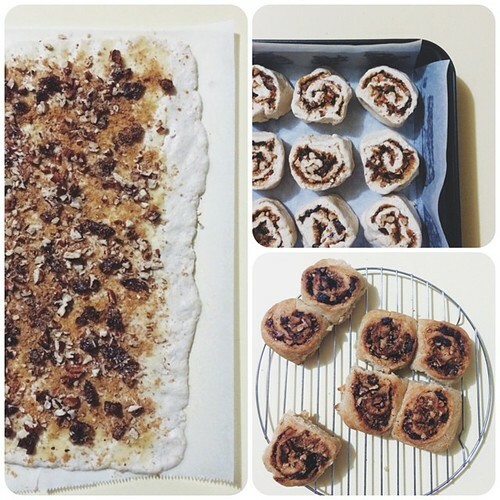 I wanted gooey scrolls, I also wanted to play with some gluten-free dough ideas, and before I knew it a pan of pecan and fig rolls emerged. The up side is the flavour combo was spot on, the down side is the dough was not. It happens, I’ve moved on. 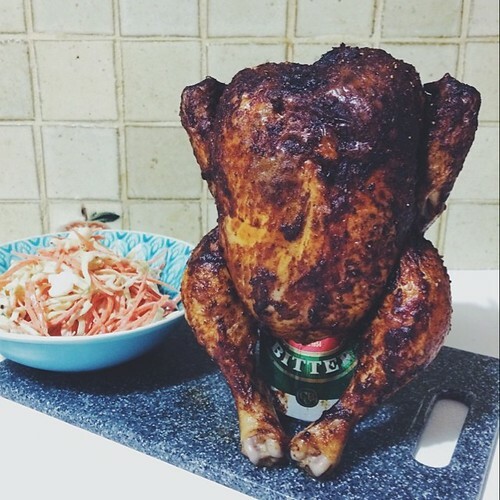 Beer Can Chicken has become a nearly weekly request by RJ, and who am I to say no. Why staying with family friends is the only way to go after a long flight. Let the stone fruit gorging begin. One of the first things I do when we I get to Americaland is to go to the grocery store. 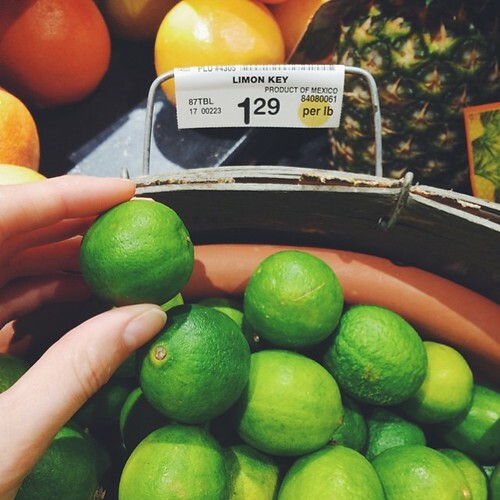 This time I found key limes (key limes!) and there is one in my bag currently that I need to do something with. Jicama is always on the list (called Yam Bean in Australia when not being referred to as its Asian name which I don’t know) too. Peeled, sliced and eaten raw with lime or diced up with mango and avocado. Perfect. If you are a Nespresso user, Podista Pods* are made specifically for the machine by an Aussie company based in South Australia. 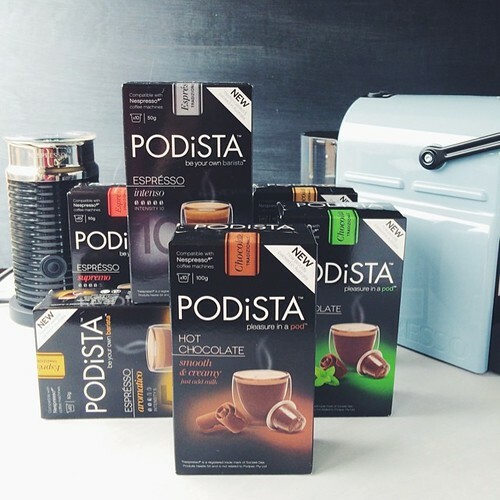 An interesting company with an entrepreneurial passion for innovation and product development, Podista has just launched a set of five hot chocolate flavours to complement their coffee range. The pods are available in most grocery/retail outlets around Australia. 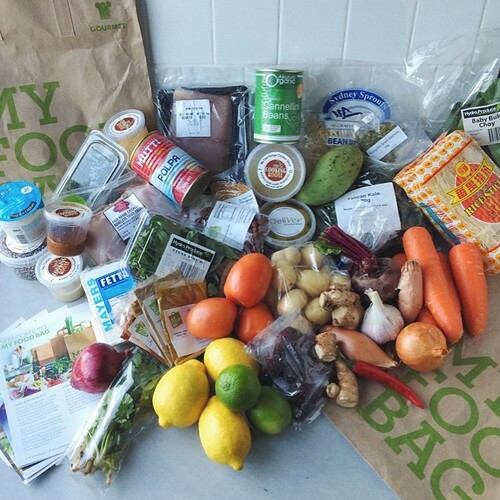 I was recently approached by My Food Bag to try out* one of their weekly meal bags (this isn’t sponsored but is gifted, I found the experience interesting and am therefore writing a bit about it). We decided to give the Gourmet Bag a go — as we had a hectic week on the horizon — and on a Sunday morning, after regular communication regarding delivery window times, everything we needed for four nights of meals appeared at our door. As much as I like developing recipes (duh) we tend to have leftovers or scrambled eggs most nights for dinner. It was surprisingly refreshing to know I had all the ingredients ready and waiting for a specific recipe. 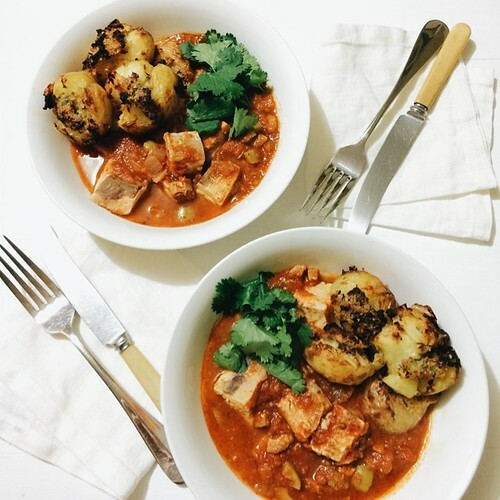 First up was a Chermoula Fish Stew with Garlic & Thyme Roasted Potatoes — and I actually, mostly, followed the recipe for a change. The spiced stew got the thumbs up from both of us (although we weren’t huge fans of the kingfish). RJ was more than excited about roasted smashed potatoes as it is not something I make on a weeknight. 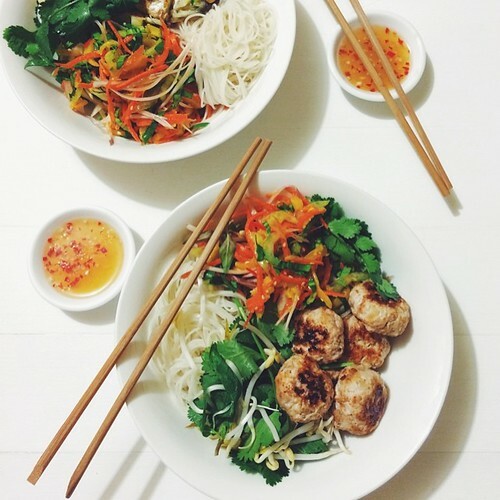 Second was Asian Pork Meatballs with Green Mango Salad & Noodles. I chopped up a leftover fritter from a morning shoot for me instead of the pork, and pretty much stuck to the recipe for everything else. There was lots of ingredient chopping for this so it took a while to get it all together. I probably added less lime juice than what was called for as a result of using up various piles of lime wedges but we were happy with the flavours. I had to pack up the leftovers before RJ ate them all in one go. Dinner three was Moroccan Chicken w Roasted Spiced Carrots and other things. It was at this point that I started taking liberties with the recipes, pulling some of the elements of the chicken into the spiced carrot dish to give myself more of a full meal. The fourth dinner — involving spiced lamb, tahini, yoghurt and a kale salad — was lost in the shuffle of the week and the copious amounts of client work food moving through my kitchen. The meat went in the freezer and the other ingredients ended up on flatbread pizzas, amongst other things. I really didn’t know what to expect but was pleasantly surprised. 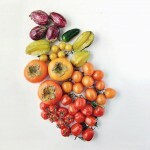 The veggies are seasonal and local, the meat is free range and the overall angle of the company is transparency. As much as I enjoy an ad-hoc approach to mealtime it was nice to go to cook dinner and know that all the ingredients were ready and waiting. There were a few packaged items and they appeared to be high-quality. Prepared pastes and speciality items are made by a Sydney-based company with only real ingredients (not a single number or preservative on the ingredient list, it was the first thing I looked at). The meals that week were very meat heavy which isn’t really our thing. As much as RJ does eat meat it isn’t every night, and while there were veggie elements in most of the meals a full-veg evening would have been good. There are very few items expected from your pantry and pretty much everything, including spices, is provided. All the meals took more time than the advised length but were generally straightforward. Everything was heavily spiced. It may have just been the week but with two Moroccan, an Asian and a Middle Eastern dish, I was glad we spaced out the three we tried and put the fourth on hold. There was a lot of food, both in the bag and in the prepared meals. More than what was needed for two people. 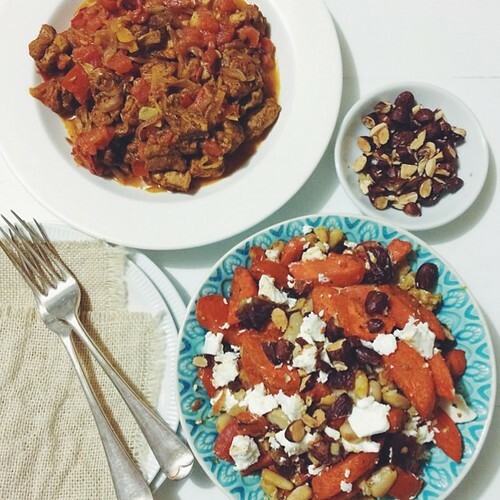 Great for huge eaters or lunches the next day unless you abhor leftovers. I’ve been shooting up a storm for a new client and there are plates and forks and linens from one end of my work area to the other. At least the props are earning their keep! This was a fingerlime seed (picked from the caviar, stuck into a pot) once upon a time. I haven’t shared him for a while here but he’s coming along well don’t you think? 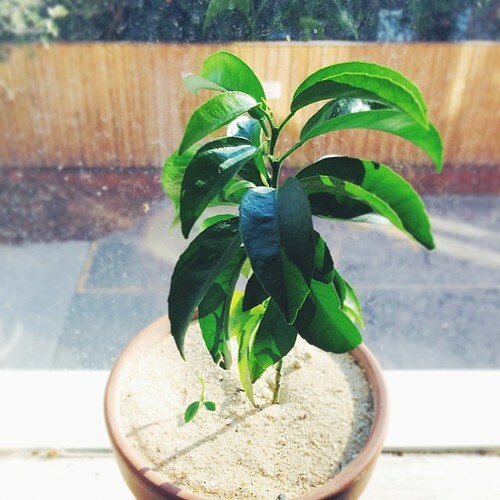 And his pot mate is a leeeetle tiny kaffir lime plant from a seed. He’s had a tough trot but one watering with a syringe and all of a sudden a new leaf popped. 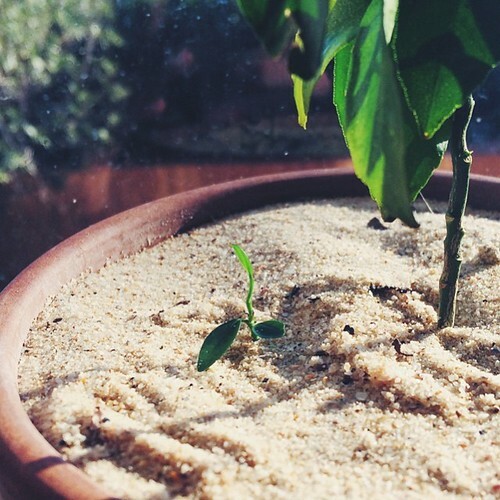 The sand is due to tiny, insanely irritating little gnats that kept appearing around the plants. I worked out they were coming from the soil (repotting did nothing for it) and every time I watered the plants they got worse. Sand on top and in the dish killed the cycle (they can’t get through the sand to breed in the dirt) and mercifully got rid of them. To water I stick the pot in a container of water and it draws up from the bottom. As such I have to feed the tiny lime with a syringe from the top. The things I do for green stuff in my window! 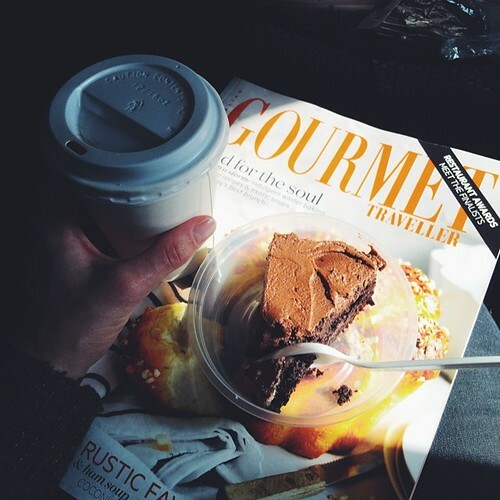 Gourmet Traveller, a slice of chocolate cake and a tea to start the flight from Sydney to LA. 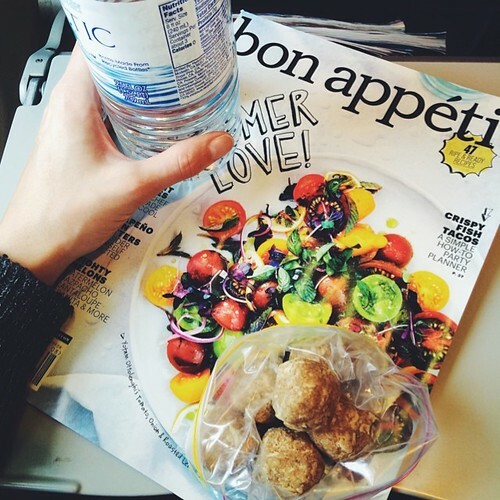 bon appetite, oatmeal cookie bites and another tea to go from LA to Phoenix. Do you spot a trend?! Your camera looks very impressive JJ! 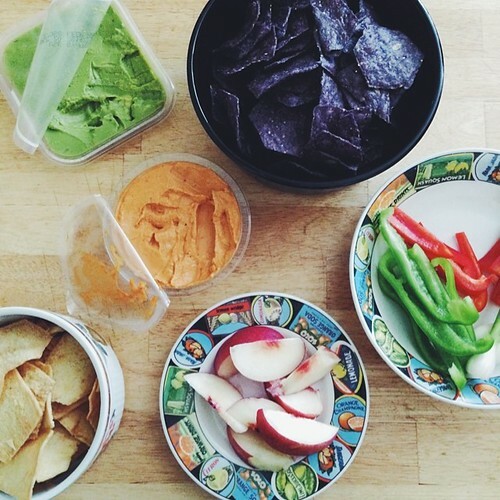 Your kitchen is full of good stuff as usual. Ooops Indeed, what great op shop finds. I love the way you have styled them. I am also a very keen trawler of oppies. 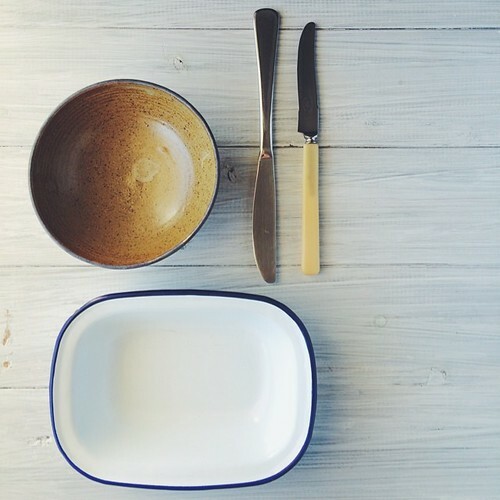 Great round up of your kitchen. G’day and what a great post JJ!! 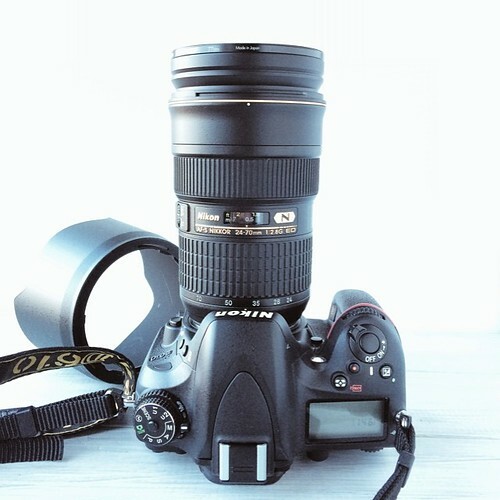 Love your camera, but am a Canon person myself! Thanks for this month’s kitchen view too and in brightening my day! Such beautiful photos at the end JJ! The ingredient box sounds like a great idea. I have some friends who do it regularly. It’s a shame they didn’t give more options for something like a part-vegetarian box though. 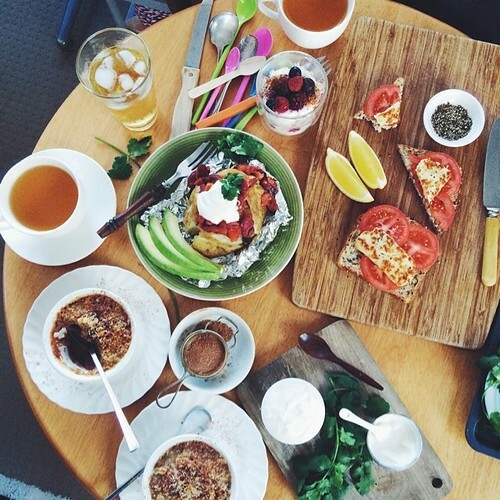 I’m glad to hear I’m not the only blogger that has random dinners. I have such a small dinner repertoire. I think I can officially call myself a Food Blogger when you drop the dame of a stylist and I know who you’re talking about and can nod in agreement. 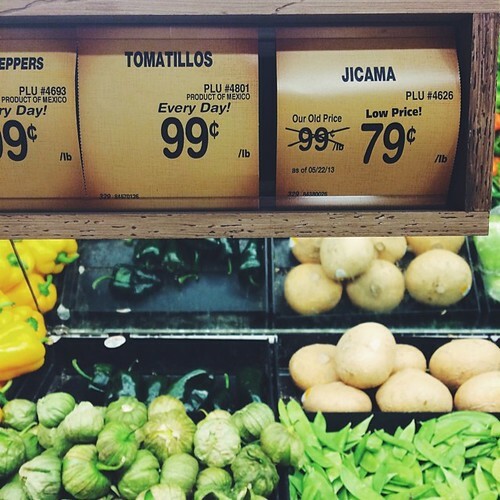 Oh the taken-for-granted bliss of tomatillos at the supermarket!